5:50–Is the next government shutdown immanently on the horizon? Jeff Stein considers the outlook with U.S. Senator Chuck Grassley. 6:35–Former Trump advisor Roger Stone suggested he might cooperate with the Robert Mueller probe into Russian election interference. Fox News Radio Legal Analyst Wendy Patrick talks about the implications. 6:50–Film critic Richard Roeper speaks about this year’s Academy Awards® with KXEL’s Jeff Stein. 7:35–TV9 Meteorologist Kaj O’Mara says a wet weekend follows this week’s cold. 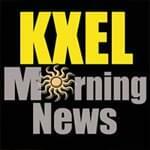 7:50–Iowa Governor Kim Reynolds talks with KXEL’s Jeff Stein about agriculture topics of importance to the state’s farmers.